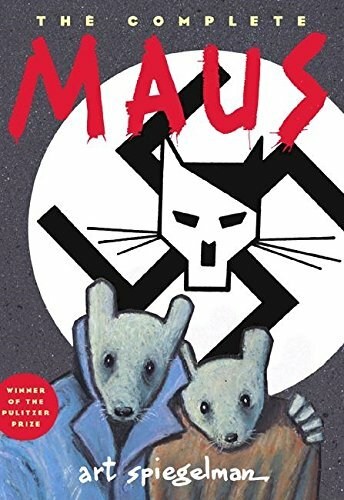 Art Spiegelman creates a contemporary and compelling take on the Nazi Germany in his graphic novel, Maus. Maus reveals the story of Spiegelman’s father, Vladek, and his time in Poland during the Holocaust. 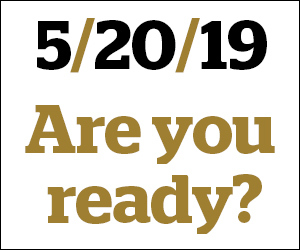 The story begins in the present. Spiegelman is nagging his elderly father to tell him about his mother and his time at the notorious concentration camp, Auschwitz. Vladek eventually gives in to Spiegelman’s request and begins telling Vladek the story of his life. He explains the way he met his wife, Ana, and slowly leads into his Holocaust experience. Spiegelman tells his father’s story through a graphic novel. However, he creates an Animal Farm-esque setting because he chooses not to draw people in his comics. Instead, he assigns a specific animal for each race. Those who are Jewish are mice, while Nazis are depicted as cats, the Polish are pigs and Americans are shown as dogs. There has been debate on this choice throughout the years since Volume I was published in 1986 and was briefly addressed in Volume II, published in 1992. I believe this was a daring but wise choice. I feel as though he creates an atmosphere that directly depicts the dehumanization and isolation Jewish people felt at the time. I believe it also alludes to the groupthink that Nazis experienced during the war. During the aftermath of WWII there were numerous questions and studies that contributed to the understanding of how Nazis could morally dehumanize and murder Jewish people. Many of the studies led to the theory of groupthink which is defined as the practice of making decisions as a group that discourages individual responsibility. I feel as though Spiegelman’s choice to group the different races into various animals was thought-provoking. The way Spiegelman chooses the animals that portray his characters are reminiscent of standard propaganda used at the time of the war. One major example is the cat — and — mouse reference. It was common to see Jewish people depicted as rodents in the media, and their natural predator is cats. Spiegelman chooses to tell this cat and mouse story through the eyes of his father. However, the story is told exactly like his father told him. In other words, there are constant interjections into the story that take place in the present. Spiegelman chooses this point of view to characterize his father; the way that Vladek is depicted in the present contrasts with the way he is shown in the past. In the past, he appeared to be very put together, resourceful and loving. However, in the present, he is portrayed as obsessive, harsh and frugal. I believe his experience in the Holocaust has a direct correlation with his change in character. Throughout the novel, Vladek continuously has to ration and think of himself before he concerns himself with those around him. In contrast, present day Vladek obsessively counts his pills to make sure he is not missing any and refuses to waste or spend money to better his life. This is a direct result of Auschwitz. I would recommend Maus to anyone who wants to read a present-day take on the Holocaust. Spiegelman reflects on the story of his parents and the tragedy of the Holocaust. The author expertly draws his reader into his father’s story by creating an ominous and sinister atmosphere.